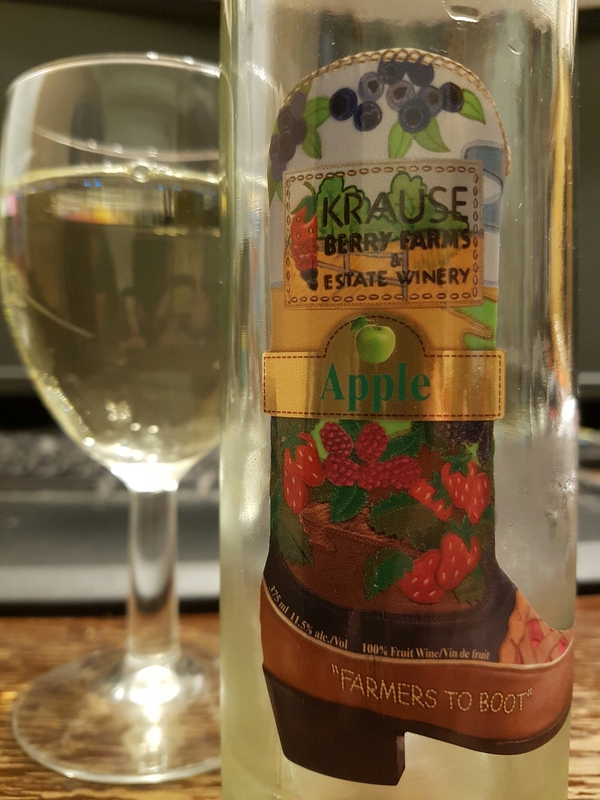 Apple Wine – Krause Berry Farms (Langley, BC, Canada) | Justintoxicated. Visual: Non-vintage. Pours very, very light straw yellow, crystal clear, a few micro bubbles along the perimeter. Summary: I starts out with a rather unimpressive thin entry, followed by only a basic green apple flavour and okay acidity. It didn’t strike me as particularly refined or complex, just apples juice, yeast and some fermentation. Skip it.